A few weeks ago we were very excited to head to the cinema as a family to watch Despicable Me 3. In fact, the girls were so excited they made us go on the opening day. 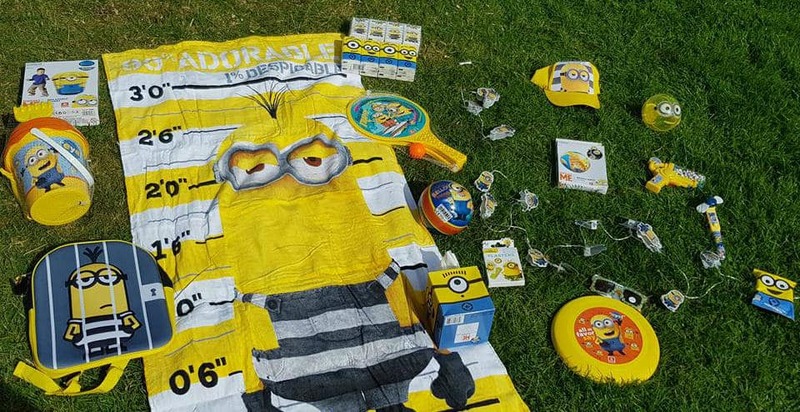 To help us celebrate the film release and the fact that it is the summer holidays, we have been sent a huge bundle of Minion products. 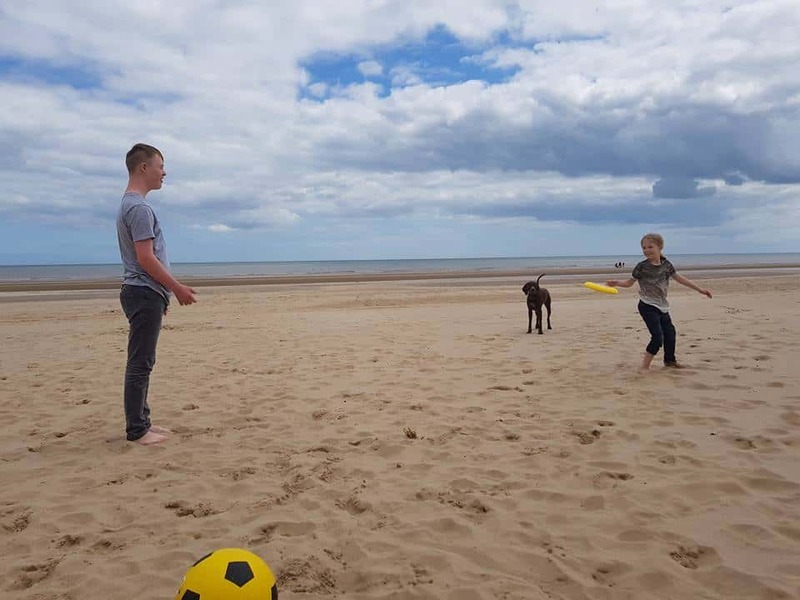 Now as luck would have it we headed over to Mablethorpe to spend some time with Alice and her family from LifeAsAlice. 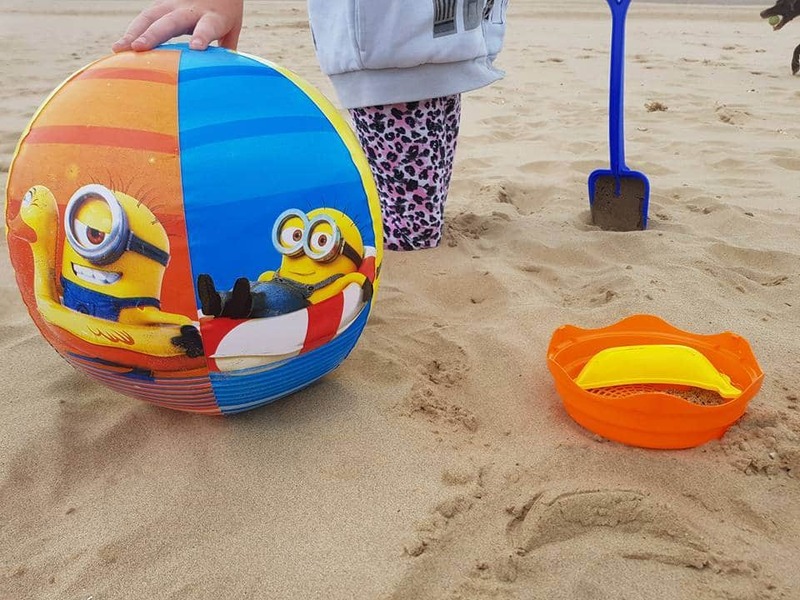 This meant that not only did we have a Minion mad child to spoil but we also had a gorgeous beach to play on which meant that these items came in very useful. 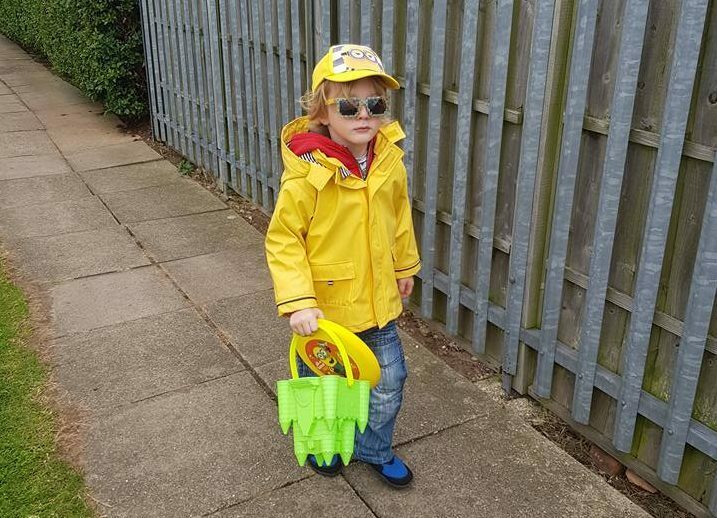 Not trusting the great British weather our minion mad child decided that a raincoat was the perfect addition to his new minion baseball cap and sunglasses. We headed to the beach with our towel to sit on, the beach ball, Frisbee, bats with ball and the bucket and spade set. The kids (and the dog) all had a great time playing with the minion beach products whilst I sat on the towel and enjoyed the sunshine. Living in Manchester means that I try to take advantage of the sun and the beach as much as possible and we will definitely miss all of the sand (although I won’t miss finding it everywhere!). We had a fabulous day full of minion fun and now we are back in rainy Manchester the kids are already asking if we can go back to the cinema to watch Despicable Me 3 again. It is a brilliant movie and one I would recommend for the whole family so if we get to many rainy days I can imagine that we will be watching it again before too long and even if we don’t then we will have to pre-order the DVD. Despicable Me 3 may be a sequel but it hasn’t lost any of brilliance that the other films had and with new characters thrown into the mix I can’t see this being the last time we will see the Minions either. Previous Post:Nozstock 2017 – Did it live up to expectations?